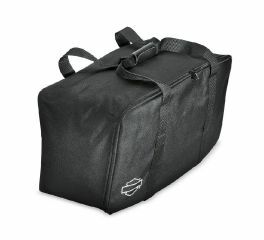 Simplify packing and unpacking your motorcycle. This high-quality, water-resistant bag is designed to fit perfectly into King Tour-Pak® components. Fits '93-later Touring and Trike models equipped with King and Ultra Tour-Pak® luggage.